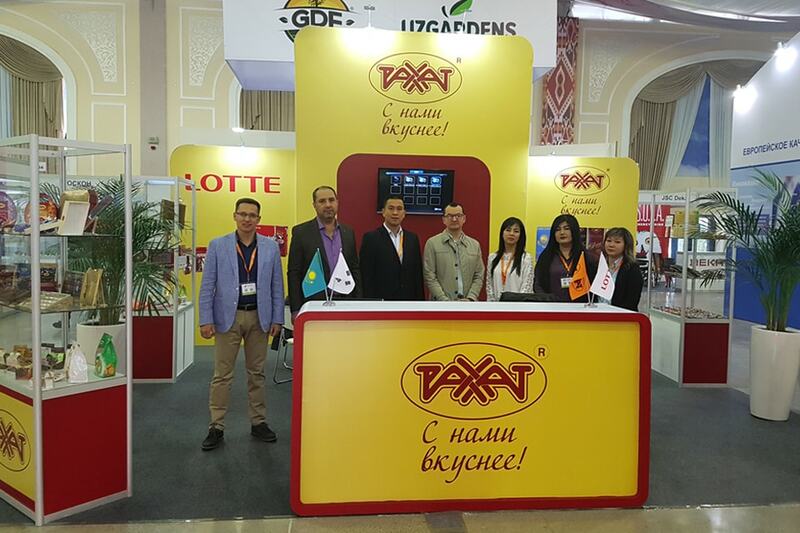 18th International Exhibition WorldFood Uzbekistan was held in Tashkent, Uzbekistan in the period from in the period from 4 to 6 April. WorldFood Uzbekistan is a unique platform for demonstrating the products to a wide audience of specialists, the opportunity to find new partners and customers from among procurement specialists representing retail chains and wholesale businesses. 142 companies from 25 countries of the world were able to demonstrate their products at the exhibition. Rakhat JSC annually takes part in this event. This year the company presented novelties to visitors and participants, provided an opportunity to taste the products of our factory for visitors.